How to increase copying speed in Windows XP/Vista/7/8: We often copy files from one storage device to another but it becomes quite annoying when the copying speed is too slow. Sometimes, a small lag seems to be a long waiting time when you are in hurry. So, if you are one of those who are facing slow copying speed in Windows XP/7/8/Vista and want to increase copy paste speed then follow this article. You can boost up your copying speed through this process. It also has salient features which is not provided by the copying client of Windows XP or 7. You can easily copy paste Hundreds of files at a time without lags through these processes. You just need to download and install a third party software and the rest of the work will be done by the software. There are many softwares which claim to increase your copying speed in Windows XP/Vista/7/8 but many of them are fake and wastage of money. So, here in this article I’m gonna share the two best copy paste client which are available free of cost on internet. Follow the below instructions to increase copying speed in Windows XP/Vista/7/8. Also Read: How to use USB Pen drive as RAM to Boost Performance in Windows. When it comes to a software which can copy paste files faster, then TeraCopy is absolutely the first choice. It is a compact program designed to copy and move files at the maximum possible speed. It is the most powerful tool used by millions of people worldwide. It uses statistically adjusted buffers by reducing the seek time operation. It uses Asynchronous copy which speed up files transfer between two physical hard drives. You can also set it as your default copy handler after installation. It also has “Pause and resume file transfers” which is not provided by Windows XP. This gives a prominent advantage to the users who are using Windows XP. Let us take a look at some other salient features of TeraCopy. Easily Pause and resumes file transfers. 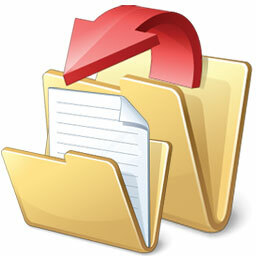 It also shows information of file like copying speed or remaining time for completion of job at every instance. Recover copy errors at an extent. Interactive interface and file list. Consumes minimum load on system and works smoothly. It has a file size of just 2.5 MB. 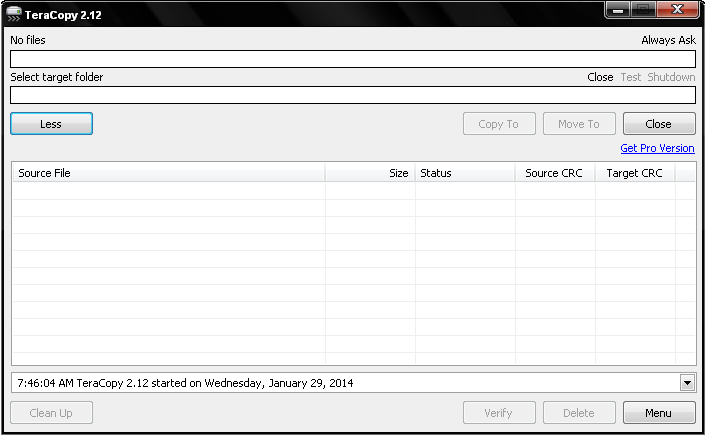 Also Read: How To Compress a 1 GB File into 10 MB using KGB Archiver- A Real Free Trick. Talent Copy V is another small yet powerful tool to copy paste files faster. It has a friendly interface which makes it easier to use it. It uses an advanced algorithm to limit empty HDD head moves, HDD waste, noise and power on file copying and increase the copying speed dramatically. It also lets you to use write cache and expand buffer. It is a program which comes in a handy basis and new users can easily use it. Now, let us look at some salient features of Talent Copy V.
Pause and resumes file transfers easily. It is a lag free software. It is takes account of your system configuration (Processor Speed) and then performs. Download Talent Copy V from here. Previous articleAmazing things that you can do with your android smartphone.